Team Clean & Haul - Why Us? 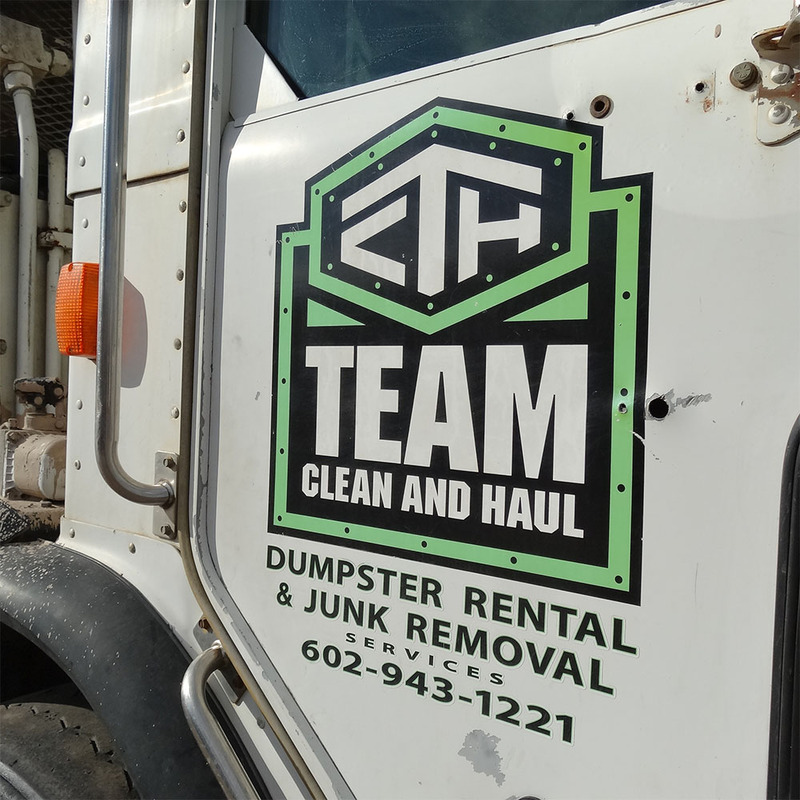 Team Clean and Haul is a family-run business serving the entire Phoenix metropolitan area with affordable trash and junk removal solutions. 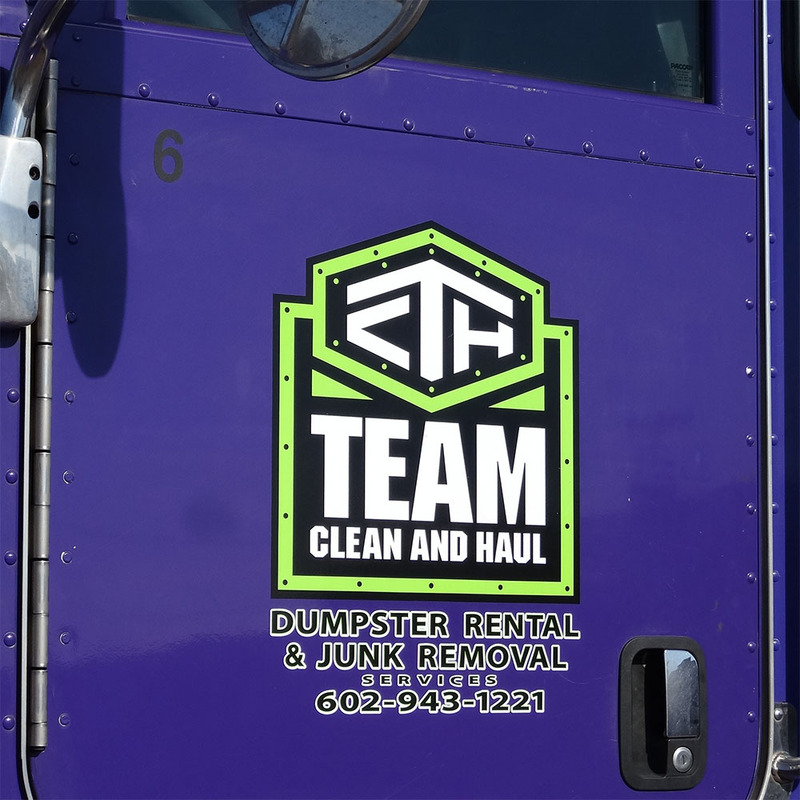 We started off as a small junk removal provider in 2006 and slowly grew the business into what it is today–a full service dumpster rental, junk removal, and portable toilet rental company focused on providing a great customer experience for our customers. When we started Team Clean and Haul, we operated using a single pickup truck to haul waste. 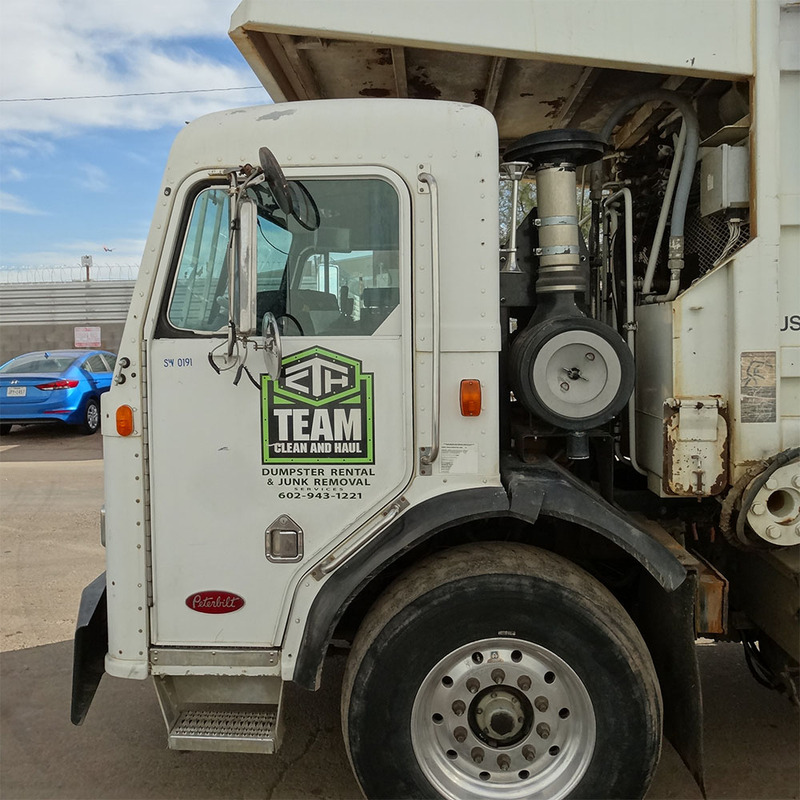 Our hard work earned us a positive reputation in the community as a reliable and affordable waste hauler, and that has been the key to our success in the dumpster rental and junk removal business. We work with homeowners for smaller cleanouts and junk removal projects, and we’re also the area’s leading provider of commercial waste solutions, including front-load dumpsters and compactors. We rent roll off dumpsters ranging in size from 10 to 40 cubic yards to accommodate any size cleanup. Call us today at (602) 943-1221 for a free dumpster rental quote or to discuss junk removal solutions for your home or business.